STILES—Clair M., 89, Richland, was lifted up into the arms of Jesus on March 31, 2019 at Arbutus Park Manor. 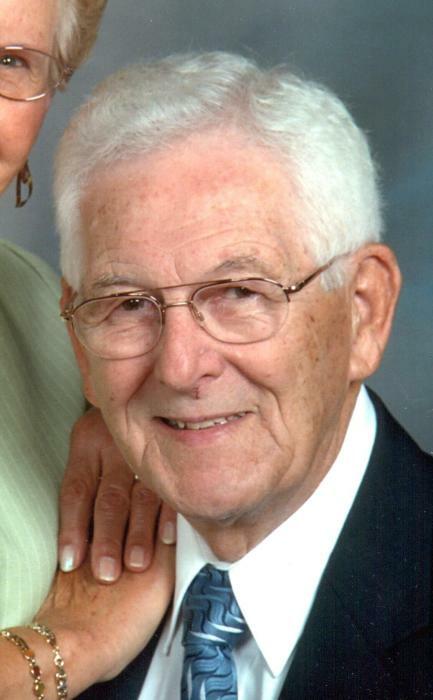 Born August 17, 1929, in Cramer, son of Virgil E. and Margaret M. (Kelly) Stiles. Preceded in death by parents. Survived by loving wife of 65 years, Dolores M. (Rose); children, Debbie Wise and husband, Timothy, Greensburg; Brian Stiles and wife, Colleen (Hoover), Cresson; Craig Stiles, Windber; grandchildren, Andrew and Skyler Stiles and Corinna Goughnour. Clair was a US Army veteran of the Korean War. He retired from Iron City Sash & Door where he was the office manager for 34 years. He will be remembered as a kind and loving husband, father, grandfather and loyal friend. Friends will be received from 3 to 7 p.m. Wednesday at Harris Funeral Home, 500 Cherry Lane, Richland, and again from 10 a.m. until time of Funeral Service at 11 a.m. Thursday at Oakland United Methodist Church, with Rev. Dr. Randall Bain officiating. Private Committal, Richland Mausoleum. The family suggests memorial donations to the Oakland United Methodist Rise Up Fund in memory of Clair. Online condolences may posted at www.wharrisfuneralhome.com.